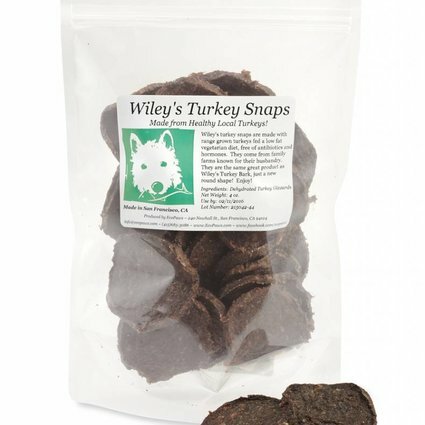 Wiley's Turkey Snaps recently joined the Wiley's treat line. 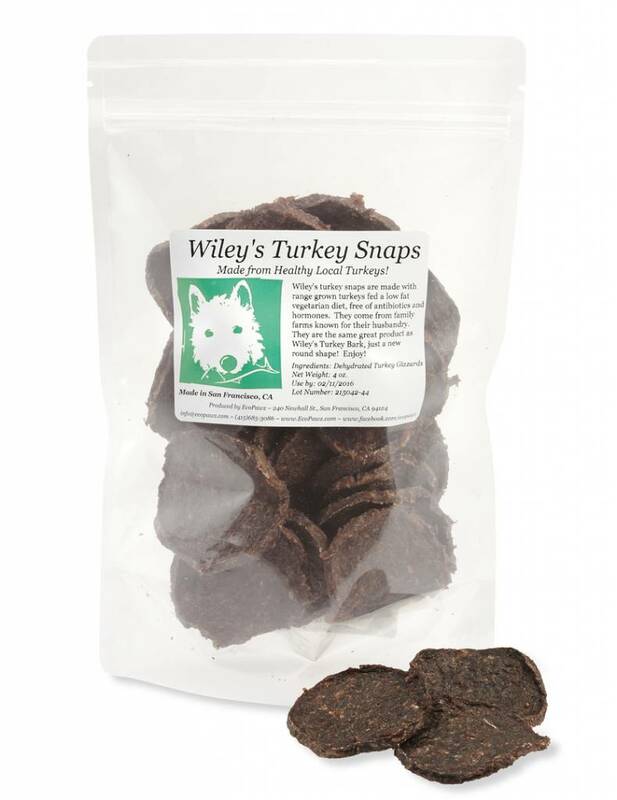 Our Turkey Snaps come from Northern Californian turkey's raised on a vegetarian diet, hormone and antibiotic free. We lightly process and dehydrate these healthy turkey gizzards into great snaps that portion easy with little crumbs. They are great for training and were developed for dog sports such as agility.